Teo Chee Hean to be new DPM, S Jayakumar to be SM, from April 1st. The following is the press release from the Prime Minister’s Office on the changes to the Cabinet. The Prime Minister will make several changes to his Cabinet and other appointments. These changes are part of continuing leadership renewal and testing out of younger office holders for broader responsibilities. The changes will take effect from 1 April 2009, except where indicated otherwise. A tabulation of Cabinet members and other office holders and their portfolios is at Annex A.
Mr Teo Chee Hean will be appointed as Deputy Prime Minister. He will be the Acting Prime Minister in the absence of the Prime Minister. He will continue as Minister for Defence. Professor S Jayakumar will relinquish his appointment as Deputy Prime Minister. He will be appointed as Senior Minister in the Prime Minister’s Office and will continue as Co-ordinating Minister for National Security. He will also continue to oversee foreign policy matters which cut across different ministries and take charge of foreign policy issues which involve legal negotiation or international adjudication. He continues to chair the Inter-Ministerial Committee on Climate Change. Mr Gan Kim Yong will be appointed as Minister for Manpower. Mrs Lim Hwee Hua will be appointed as a Minister in the Prime Minister’s Office. She will be concurrently appointed as Second Minister for Finance and Second Minister for Transport. Mr Lui Tuck Yew, Senior Minister of State, will relinquish his appointment in Education and will be appointed as Acting Minister for Information, Communications and the Arts. Dr Lee Boon Yang will relinquish his appointment as Minister for Information, Communications and the Arts and retire from the Government. Since being appointed a Parliamentary Secretary in 1985, Dr Lee has served in many portfolios including Environment, Trade and Industry, Finance, Home Affairs, National Development, Defence, and Manpower, before becoming Minister for Information, Communications and the Arts in 2003. The Prime Minister thanks Dr Lee for his many years of service and contributions to the Government and the nation. Mr S Iswaran will be appointed as Senior Minister of State in the Ministry of Education, concurrent with his present appointment of Senior Minister of State in the Ministry of Trade and Industry. Mr Lee Yi Shyan will be appointed as Minister of State in the Ministry of Manpower, concurrent with his present appointment of Minister of State in the Ministry of Trade and Industry. Mr Sam Tan will be appointed as Parliamentary Secretary in the Ministry of Trade and Industry and concurrently in the Ministry of Information, Communications and the Arts. His appointment takes effect on 1 July 2009. Mr Zainul Abidin Rasheed will relinquish his appointment of Mayor, North East Community Development Council when his current 3-year term ends on 30 May 2009. He will continue as Senior Minister of State in the Ministry of Foreign Affairs. 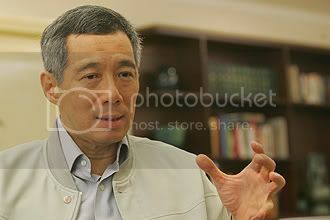 Mr Teo Ser Luck will be appointed as Mayor, North East Community Development Council with effect from 31 May 2009. This will be concurrent with his appointment as Senior Parliamentary Secretary in the Ministry of Community Development, Youth and Sports and in the Ministry of Transport.